The private airline pilots are accused of posting obscene messages on WhatsApp targeting the aviation regulator. The pilots were asked to come to Delhi for the questioning. New Delhi: Thirty-four pilots from four private airlines were suspended, de-rostered and questioned by the police today over aviation regulator DGCA's complaint that they had put up obscene posts on a WhatsApp group. It all started over a wrong designation. The pilots are from Jet Airways, Spicejet, GoAir and Indigo. The DGCA or Directorate General of Civil Aviation has submitted to the police screenshots of the WhatsApp chat in which the pilots allegedly used bad language against the regulator. Sources say the pilots first landed into trouble over flubbing the designation of the Joint Director General of Civil Aviation, Lalit Gupta, in a letter. 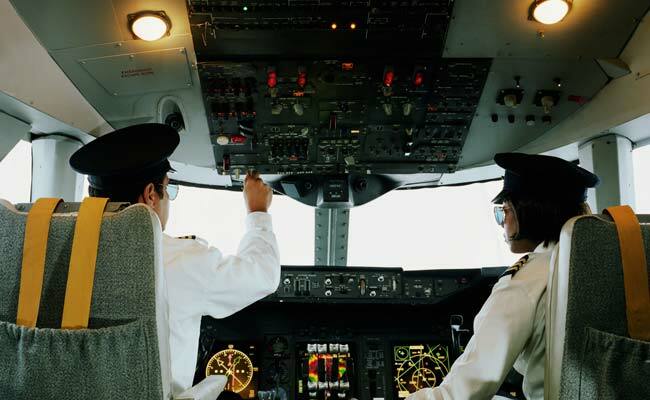 They had been asked for their feedback on doubling the notice period of pilots from six months to one year. Some responded but addressed Mr Gupta as Director General. The enraged officer, say sources, sharply reprimanded the pilots and wrote to their technical supervisors urging that their "mental alertness" be checked as "they could not even quote a designation properly". Mr Gupta also demanded an unconditional apology, say sources. The pilots reportedly turned to their private WhatsApp group to hit out at the regulator. The chats were allegedly leaked to the DGCA. Sources describe some of the texts as "highly objectionable" as they even target family members. The pilots were asked to come to Delhi for their questioning. Many of their colleagues arrived at the police station in solidarity.